Hi, my name is Ji-Hyun Kim and I’m from South Korea. I have been in Washington D.C almost about three months so far. I’m here as a student of Washington Semester Program, which is an internship and seminar program in American University. Because I’m interested with non-profit areas, I got an internship at AALEAD. And I’m sure it was the best choice for me. 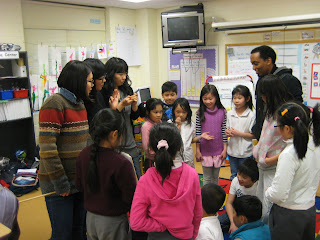 My supervisor is Kendra, and she suggested me that I can have workshops for elementary school students. And not only children but also me, had a great time. 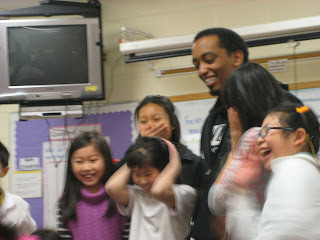 I’m sure rest of my time at AALEAD will be great too! 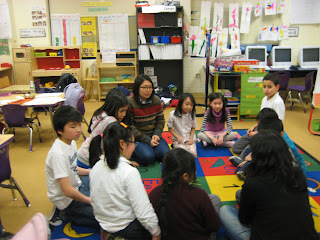 On February 23rd 2010, Thomson Elementary students participated in an activity called “speed quiz” (a Korean game), and I think all the students enjoyed it! 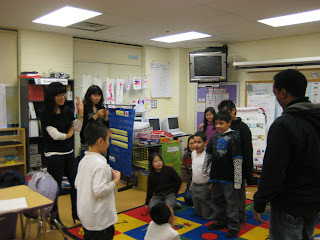 As there were a lot of students in various ages, we divided into four groups to start the game. The rule of this game is simple. One of group member explains the word on the paper (but you can’t say the word directly), another group member tries to guess what the word is and the other member holds the papers. The winner of the game is the team who can correctly guess the most words!. 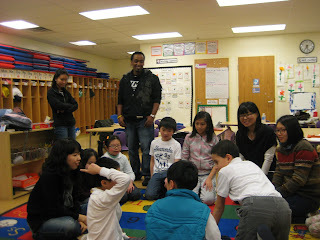 I was really satisfied with this workshop, because all the students were smiling and laughing while we were doing the game. It was also quite a great experience for me! 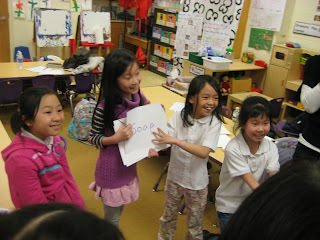 After “speed quiz”, we did another game. It is also a Korean game, and it is called “gong gong chil bbang”. After sitting in one big circle, the starter says ‘gong!’ and points to someone else. That person also says ‘gong!’ and points to another person. The next person says “chill!” and points someone else. That person says ‘bbang!’ to another person. And the people right beside the ‘bbang!’ person must raise their hands and shouts ‘u-ak!’ When the game goes faster and faster, it gets more fun!